Popular Ealing offers suburban living with thriving cultural communities providing plenty of diversity. Rentify can help you make the most of your letting with our handy borough guide. At Rentify we have property specialists dedicated to Ealing, armed with local expertise and unmatched valuation knowledge to find you the right tenants. Known as “The Queen of the Suburbs”, the London Borough of Ealing is a popular choice for families and professionals seeking a quieter location that is still close to central London. Residents have a wide choice of districts to choose from, ranging from urban areas such as Action to leafy districts like Hanwell. Ealing is one of the most ethnically diverse areas in the UK, with Southall having earned the nickname “Little India” due to its large Asian community. Locals enjoy plenty of green space, such as beautiful Ealing Common and Walpole Park. Ealing boasts some of the best transport links in London, with Piccadilly & Central tube lines serving much of the borough as well as many mainline rail services. The new Crossrail rail service will also call at several stations in the borough from 2018. Purpose-built or modern apartments are predominantly found in urban districts of Ealing, which are popular with young professionals. In more suburban areas, Victorian & Edwardian terraces and 1930s semis are more widely available. Ealing's many districts each have their own character, catering to a variety of residents. Here's our top picks for new landlords in the area. 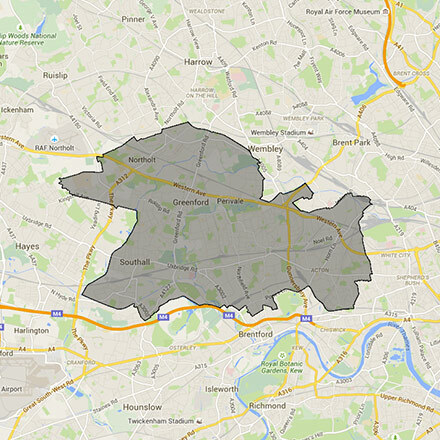 This borough covers the HA0, NW10, UB1, UB2, UB5, UB6, W13, W3, W4, W and W7 postcodes. Rentify uses proprietary methodology for data collection and processing. Borough data is collected from Rentify's property database and external public sources.